With background in the 19th century, the protocol indicating particularly men's formal attire have remained virtually unchanged since the early 20th century, and remains observed so in certain settings influenced by Western culture: notably around Europe, the Americas, and Australia, as well as Japan. For women, although fundamental customs for ball gowns (and wedding gowns) likewise apply, changes in fashion have been more dynamic. Optional conventional headgear for men is the top hat, and for women picture hats etc. of a range of interpretations. "Formal attire" being the most formal dress code, it is followed by semi-formal attire, equivalently based around daytime stroller, and evening black tie i.e. dinner suit (tuxedo), and evening gown for women. The lounge suit and cocktail dress in turn only comes after this level, associated with informal attire. Notably, if a level of flexibility is indicated (for example "uniform, morning coat or lounge suit", as seen to the royal wedding of Prince Harry and Meghan Markle in 2018), the host tend to wear the most formal interpretation of that dress code in order to save guests the embarrassment of out-dressing. Since the most formal versions of national costumes are typically permitted as exceptions to the uniformity in Western formal dress code, conversely, since most cultures have at least intuitively applied some equivalent level of formality, the versatile framework of Western formal dress codes open to amalgation of international and local customs have influenced its competitiveness as international standard. From these social conventions derive in turn also the variants worn on related occasions of varying solemnity, such as formal political, diplomatic, and academic events, as well as certain parties including award ceremonies, high school proms, dance events, fraternal orders, etc. The dress codes counted as formal wear are the formal dress codes of morning dress for daytime and white tie for evenings. Although some consider strollers for daytime and black tie for the evening as formal, they are traditionally considered semi-formal attires, sartorially speaking below in formality level. The clothes dictated by these dress codes for women are ball gowns. For many uniforms, the official clothing is unisex. 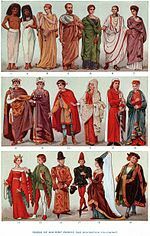 Examples of this are court dress, academic dress, and military full dress uniform. Many invitations to white tie events, like the last published edition of the British Lord Chamberlain's Guide to Dress at Court, explictely state that national costume or national dress may be substituted for white tie. In general, each of the supplementary alternatives apply equally for both day attire, and evening attire. Including court dresses, diplomatic uniforms, and academic dresses. Prior to World War II formal style of military dress, often referred to as full dress uniform, was generally restricted to the British, British Empire and United States armed forces; although the French, Imperial German, Swedish and other navies had adopted their own versions of mess dress during the late nineteenth century, influenced by the Royal Navy. In the U.S. Army, evening mess uniform, in either blue or white, is considered the appropriate military uniform for white-tie occasions. The blue mess and white mess uniforms are black tie equivalents, although the Army Service Uniform with bow tie are accepted, especially for non-commissioned officers and newly commissioned officers. For white tie occasions, of which there are almost none in the United States outside the national capital region for U.S. Army, an officer must wear a wing-collar shirt with white tie and white vest. For black tie occasions, officers must wear a turndown collar with black tie and black cummerbund. The only outer coat prescribed for both black- and white-tie events is the army blue cape with branch color lining. Certain clergy wear, in place of white tie outfits, a cassock with ferraiolone, which is a light-weight ankle-length cape intended to be worn indoors. The colour and fabric of the ferraiolone is determined by the rank of the cleric and can be scarlet watered silk, purple silk, black silk or black wool. For outerwear the black cape (cappa nigra), also known as a choir cape (cappa choralis), is most traditional. It is a long black woollen cloak fastened with a clasp at the neck and often has a hood. Cardinals and bishops may also wear a black plush hat or, less formally, a biretta. In practice, the cassock and especially the ferraiolone have become much less common and no particular formal attire has appeared to replace them. The most formal alternative is a clerical waistcoat incorporating a Roman collar (a rabat) worn with a collarless French cuff shirt and a black suit, although this is closer to black tie than white tie. Historically, clerics in the Church of England would wear a knee-length cassock called an apron, accompanied by a tailcoat with silk facings but no lapels, for a white tie occasion. In modern times this is rarely seen. However, if worn, the knee-length cassock is now replaced with normal dress trousers. Changshan — a long male version of the qipao, which originated during the Qing Dynasty. It can be of cotton for ordinary wear, or of silk for those within aristocratic families. Beneath the changshan, the male generally wears white mandarin-collar long-sleeve shirt and a pair of dark colored long pants. Like the qipao, this changshan male gown has slits on both sides (at least knee level) as well. Worn nowadays either by Chinese men in the martial arts world, or as attire for weddings to match the qipao the bride wears. The qipao and changshan originated as Manchu dresses which government officials, but not ordinary civilians, were required to wear under the Qing Dynasty's laws. Gradually, the general non-official Han Chinese civilian population not voluntarily shifted from wearing traditional Chinese hanfu clothing to the qipao and changshan. Dhoti — worn by men in Pakistan, India, Bangladesh, the Maldives, and Tamil men in Sri Lanka. Although ceased as a protocol-regulated required formal attire at the British royal court in 1936 at the order of the short-reigning King Edward VIII, the frock coat - embodying the background for all contemporary civil formal wear - has not altogether vanished. Yet, it is a rarity mostly confined to infrequent appearances at certain weddings. To this day, King Tupou VI of Tonga (born 1959) has been a frequent wearer of frock coats at formal occasions. As examples of more recent fashion, Prada's autumn editions of 2012 was inspired by frock coats, as was that of Alexander McQueen's menswear in the autumn of 2017, and Paul Smith autumn 2018. Sir John Goodwin and Lady Goodwin together with Neil Campbell and his wife, walking over the Grey Street Bridge in morning dress, top hats and spats (1931). Torsten Nothin, Gunnar Asplund, Crown Prince Gustav Adolf, Prince Eugen and Yngve Larsson at the inauguration of Skogskyrkogården, Stockholm, Sweden (1940). Former U.S. President Harry Truman with William Lyon Mackenzie King (1947). Caricature of William Lygon, 7th Earl Beauchamp in Vanity Fair (1899). Queen Elizabeth II (in ball gown) and Prince Philip (full dress uniform) before the formal (full dress) opening of the Parliament of Canada (1957), surrounded by participators of varying degrees of formal attire (morning dress, white tie etc. ), presumably in accordance with their functions or time of arrival and departure. President of the United States Gerald Ford, First Lady Betty Ford, Japanese Emperor Hirohito and Empress Nagako (the men in white tie) during a state dinner (1975). King Willem-Alexander and Queen Maxima walking to the Nieuwe Kerk on his inauguration day (30 April 2013). ^ Canadian Heritage (1985). "Dress". "Diplomatic and Consular Relations and Protocol" External Affairs. Retrieved 2008-11-09. ^ Nobleprize.org. "The Dress Code at the Nobel Banquet: What to wear?". ^ Knötel, Knötel & Sieg (1980), pp. 442–445. This page was last edited on 9 February 2019, at 07:59 (UTC).